For some dogs, daily walks aren’t enough. Get creative with canine fitness. 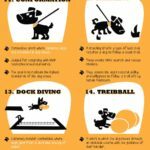 Find new fun ways to challenge your dog to keep her healthy and active. Walking: Great exercise. Bonding and training time. Give your dog the skills to find his way home if he gets lost. 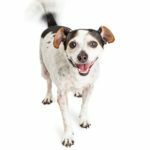 Get fit with your dog: Spice up your workout regimen by incorporating man’s best friend. Just take care to not over-exert him. 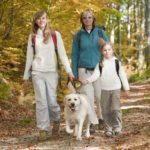 Take your dog hiking: Prepare by taking your dog on long daily walks. 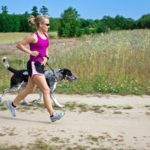 Run with your dog: Burn more calories so you both can stay fit and healthy. Try new outdoor exercise activities: Get your dog moving with activities like agility trails, soccer, active hikes, drill team, or water sports. Get your dog moving with outdoor exercise activities like agility trails, soccer, active hikes, drill team or water sports. 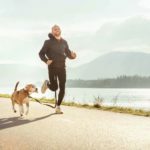 How many calories can you burn running with your dog? 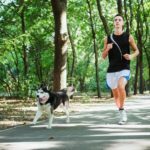 Run with dog to burn more calories so you both can stay fit and healthy. Exercising together builds bonds and boosts fitness. 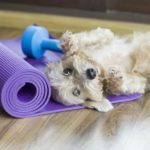 Get fit with your dog. 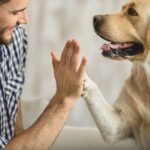 Spice up your workout regimen by incorporating man’s best friend into your fitness routine. But take care to not over-exert him. For some dogs, daily walks just aren’t enough. 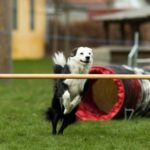 Get creative with canine fitness and find new fun ways to challenge your dog to keep her healthy and strong. Doga: Enjoy the benefits of incorporating dogs into yoga classes and exercises. 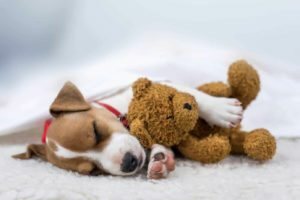 Doga is focused on creating a deeper connection between human and dog. 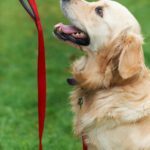 Dog walking benefits: Great exercise for both of you, bonding and training time and it gives the dog the skills to find his way home if he gets lost.